It is well known that modern energetic materials based on organic chemistry have nearly reached a plateau in performance with only ~ 40% improvement realized over the past half century. This fact has stimulated research on alternative chemical energy storage schema in various US government funded “High Energy Density Materials” (HEDM) programs since the 1950’s. These efforts have examined a wide range of phenomena such as free radical stabilization, metallic hydrogen, metastable helium, polynitrogens, extended molecular solids, nanothermites, and others. In spite of the substantial research investments, significant improvements in energetic material performance have not been forthcoming. In this talk we will survey various fundamental modes of chemical energy storage, lesson’s learned in the various HEDM programs, and areas that are being explored currently. A recurring theme in all of this work is the challenge to successfully manipulate and stabilize matter at the  1 nm scale. 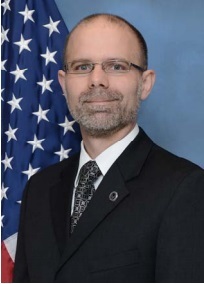 Dr. C. Michael Lindsay is the Technical Advisor of the Energetic Materials Branch, Ordnance Division, Munitions Directorate, U.S. Air Force Research Laboratory, Eglin Air Force Base, FL. In this position, he leads the overall technical program of approximately 60 scientists, engineers, and technicians conducting in-house research to develop energetic materials for air delivered weapons applications.